Stretch your relaxation time under the Verona by Visscher. 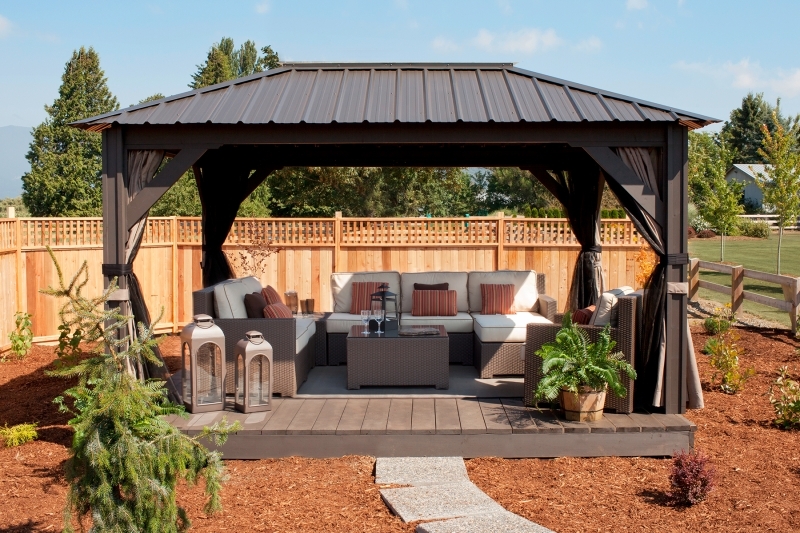 This 11×14 model comes in our new modern colour with an attractive and durable metal roof. 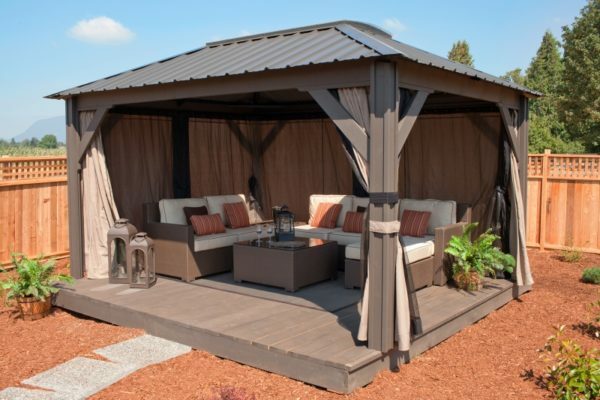 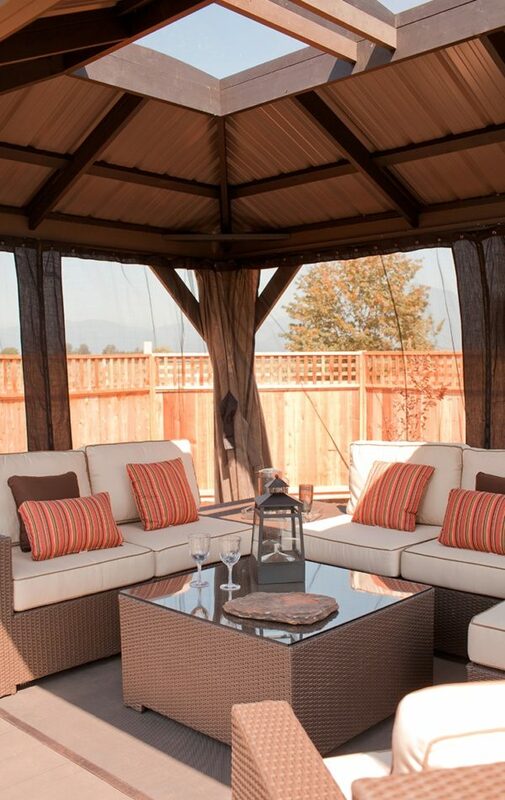 The Verona adds an extra 33 square feet of coverage over our 11×11 model, and adds a large 43″ x 83″ skylight.